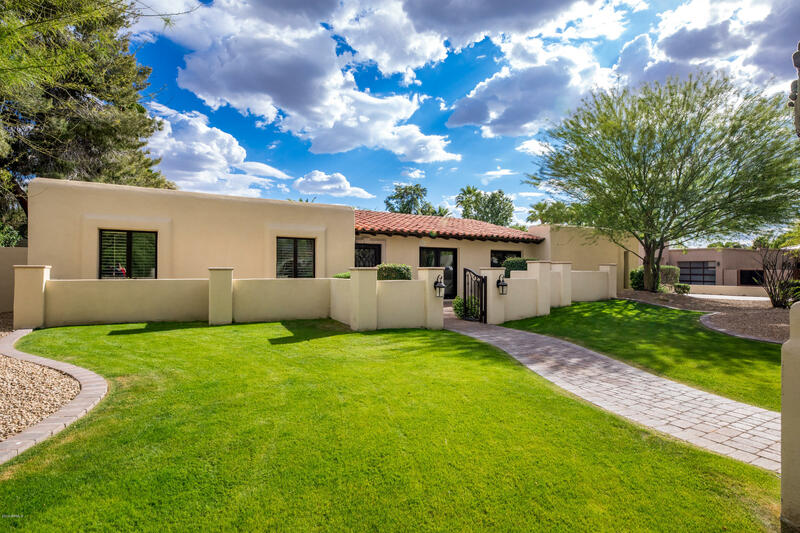 All RANCHO SAGUARO homes currently listed for sale in Scottsdale as of 04/18/2019 are shown below. You can change the search criteria at any time by pressing the 'Change Search' button below. "Stunning custom remodel on a large N/S lot (nearly 16,000 ft) in the highly desired Rancho Saguaro 85254 neighborhood. This 4 bed/3 bath single level home was completely rebuilt with custom finishes throughout. The work was performed by craftsmen that work with Calvis Wyant Luxury Homes and truly exemplifies indoor & outdoor living at its finest. Gorgeous curb appeal with mature desert landscaping and a inviting gated courtyard with firepit. The living & dining area offers a vaulted ceiling w/ g"